Stanford engineers have just made a big discovery that could have huge implications for energy use in the future. 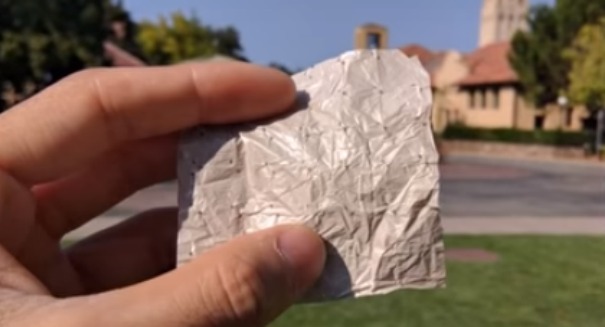 Scientists at Stanford University have just done something amazing: they’ve created a brand new material that could utterly revolutionize clothing. It’s a cheap, plastic-based textile that could be woven into clothing and cool your body much more efficiently than is currently possible with either natural or synthetic fabrics. THe findings, which were published int he journal Science, describe a new family of fabrics that could keep people cool when it is hot and there is no air conditioning, which could be huge in terms of saving energy. This clothing could be worn by people working in a building and the building wouldn’t have to use as much air conditioning, which would save a tremendous amount of energy. The material essentially discharges heat in two ways, dropping the temperature of the wearer by nearly 4 degrees Fahrenheit compared to cotton: it lets perspiration evaporate, and it allows body heat in the form of infrared radiation to pass through it. Researchers are looking to make it more inexpensive to produce.